Lots of action and lewd. Shamelessly stolenborrowed from facepalm. 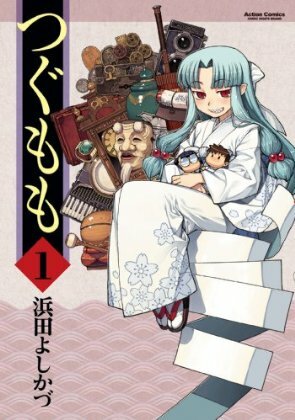 Additional links of interest can be found in the Tsugumomo GDoc linked on the sidebar. Volume 4 (partial) Chapters 21-23 only. volume 8 and 9 ? I wanna donate to motivate you to keep the good work. Also, when you will get the others chapters? Sorry for the bad english, please email me. I can’t speak for anyone else, but I’m not looking for any donations. The rest of volume 14 should be done by the end of June, but no guarantees. I need more, how much money do you want? Raws are your issue i heard, how much to get someone to buy them and scan it? There is no issue. 89-91 alphas will be released soon. When will you guys do a batch for volume 8? Anyway we could get a batch link for Vol 8 please? Three of mkw’s links are dead in their 2015 comment. Edit: Volume 8 batch is now ready. Do you guys still plan to update this? Not complaining or anything, just wanna know. Will chapter 100 be released? What about Vol 18.5? When you guys get around that will that too be released? Hopefully, but it’ll be a while. I know it’s early, but I just caught up and wanted to know if you guys are still continuing.